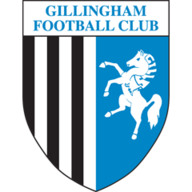 Charlie Allen scored his first senior goal to help fire Gillingham to an emphatic 4-0 victory over struggling Aldershot. Martin Allen's men equalled their biggest win of the season as the 20-year-old midfielder converted from close range on 11 minutes before Danny Kedwell rifled in his 10th goal of the campaign from the penalty spot. Myles Weston made it three before the break and Chris Whelpdale rounded things off in the second half, leaving the Shots languishing in the drop zone after five league defeats on the spin. 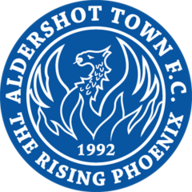 Allen got the Gills up and running when he was on hand to score after Aldershot goalkeeper Jamie Young had denied Whelpdale, while referee Mark Hayward had no option but to give a spot-kick, which was scored by Kedwell, on 26 minutes when Sonny Bradley handled. The impressive Weston grabbed his third of the campaign in the 38th minute, slotting into the bottom corner, before Whelpdale got the goal his performance deserved from close range midway through the second half. Leading scorer Craig Reid had the best effort for the visitors, but Stuart Nelson produced a smart save to deny his powerful effort.